My thanks to Boak & Bailey for pointing me at this interesting piece on the Bear-Flavored blog, How Not To Open a Brewery. In it, the author Derek points out how many US craft breweries are now the product not of passionate brewers but of investors who see it as a good bet and a hot business to be in. He wonders which ones will last - the products of passion, or the investments. It immediately made me think of my experiences with German brewpubs - I realised that while the best fitted the 'passion' category (eg. Klindworths, Heidenpeters, Eschenbrau), many of them really just felt they'd been added to give the bar a bit more atmosphere and identity, and make it a bit more of a destination. 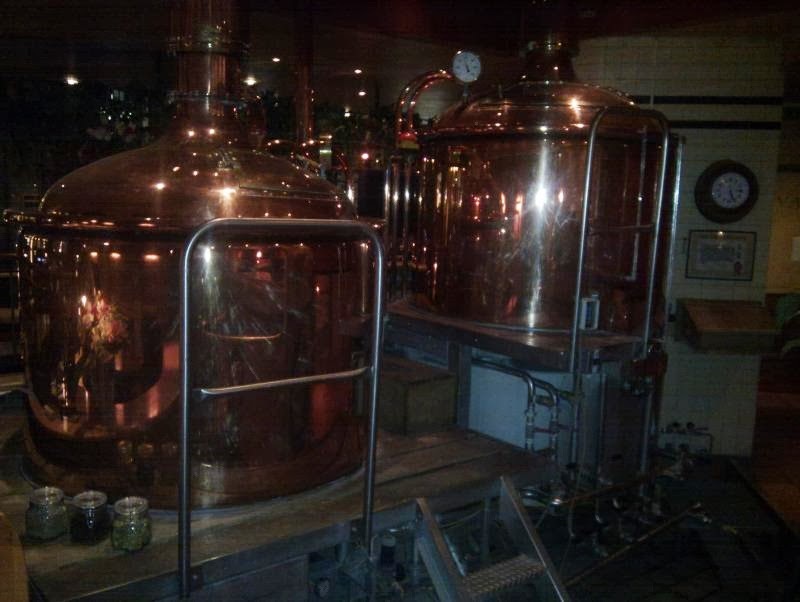 OK, they'd hired a trained brewer so the beer was good quality, but otherwise they were little different from any other investment in the premises, from new furniture or an updated loo, and the beer was little different from all the other Pils around. With a brewpub the risk could be less than with a brewery, because you have a guaranteed market for the product. It costs money and management time though, and as an investor you need to get a return on that investment. And there is evidence of this return not happening, in the number of brewpubs that have closed and reopened under new management, or which are still operating as bars but with the brewkit standing derelict, now merely a decoration. And it reminded me of the tag-line that English ale brewery Batemans ("Craft brewers since 1874") came up with: A brewery run by brewers, not accountants. Of course you can't do without accountants - or at least, a knowledge of how to do business and an eye to the bottom line. Yes, running a brewery is still a business. But really, how much mileage is there left in craft beer and ale if it's now just another "hot investment opportunity" for shysters and spivs?